The Employee Retirement Income Act of 1974 (ERISA) set minimum standards for pension plans in private industry. Unfortunately, those standards are not always upheld when it comes to people with disabilities. 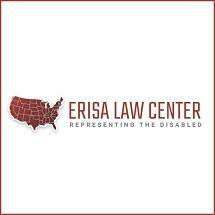 The ERISA Law firm is a nationwide law practice with offices in Fresno, California. Our practice focuses exclusively on disabled people and claimants whose benefits have been denied or delayed. Insurance companies don't like to pay disability claims. Our lawyers are seasoned and skilled in ERISA litigation. We can help you file for disability, monitor claims, appeal if your claim is denied, litigate your claim or represent survivors or beneficiaries who are denied life insurance benefit payments. We perform this work on a contingency fee basis for both administrative appeals and litigation. If you don’t win and collect benefits, we don’t receive any fees or costs. Our success is entirely dependent upon yours. Our Fresno office is at 6845 North Palm Avenue, west of the Yosemite Freeway. Call 559-478-4119 to set up a consultation. ERISA lawyers in California: Driven to get results in ERISA.